Bulboventricular foramen (BVF) enlargement is often required to enlarge a restrictive interventricular communication in patients with univentricular hearts (UVH) to prevent the development of systemic ventricular outflow tract obstruction (SVOTO). 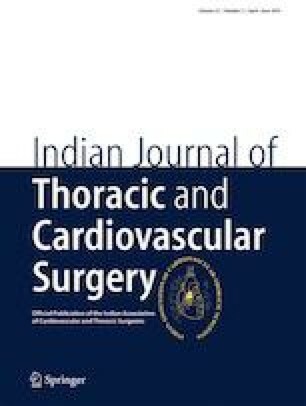 We describe an alternative surgical technique through the transected pulmonary artery without an atriotomy, ventriculotomy or aortotomy that was successfully performed in a patient with double inlet left ventricle (DILV) with malposed great arteries (MPGA) and a restrictive BVF. All procedures performed in this study were in accordance with the ethical standards of the institutional and national research committee and with the 1964 Helsinki declaration and its later amendments or comparable ethical standards. For this study, formal consent was obtained.